For without a "big picture" plan, we have no chance. As you know, I have been writing for six months about an envisioned plan that I dubbed "GRATOLA" - an acronym for the first segment of a set of totally new, ultra-green, inter-connected living corridors across the USA: Green Region Atlanta to Los Angeles. The above vision is one I love talking about in my public speaking engagements, two of which are next week; in Buffalo on April 3 and in Scranton on April 4 . Email me directly if you're interested in attending one of them and I will send you the details. Ultimately, as reported in an earlier BSB, I believe that it is possible that we could envision, design and build "green" living corridors in the USA that could provide a superior lifestyle for up to 300 million Americans, while occupying a fairly small area of land. Per my vision, we could sustain ourselves in an area equal to the combined total acreage in Oregon, Kansas and South Dakota. And the remaining 45 states' total acreage of land in the lower 48 could be returned to nature. Sound far-fetched? People ridicule my plan all the time and call me naive for continuing to write about it. But those folks never seem to have a "plan" of their own - much less, a better one. I also tell those critics that even though my GRATOLA vision may never be executed, it could possibly, in some way, help to ignite an unprecedented wave of urgent, "big picture" thinking by the world's brightest scientists, futurists, and environmentalists. Our children inherit the mess. Disgusted with the adults of the world who have abdicated responsibility for protecting the fragile ecosystem that gives us life, the world's youth are taking to the streets by the millions. We can only hope that they won't give up. Amazingly, the global youth movement was triggered by the lone actions of a 15-year old girl in Sweden last August. 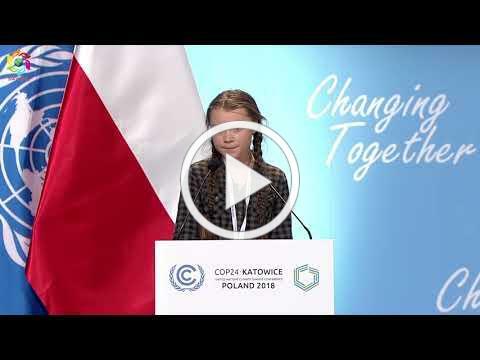 Take a look at this 4-minute video as she speaks truth to power at the United Nations' COP 24 Climate Conference in late 2018. Listen as she tells this powerful group of world leaders the unvarnished truth about their shameful failures. "You are not mature enough to tell it like is. Even that burden you leave to us children." Back to "GRATOLA." The last time that word appeared in the title of one of these blogs was on 12-13-18. Its title was World's Largest Farmers Markets? GRATOLA. It's now over three months later and, ha rkening back to the wisdom of W. Edwards Deming, time is running out for us to begin living in harmony with the rest of nature soon enough to make a difference. As humans, our primary role in optimizing the Earth System is for us to give Mother Nature a lot more space and then just leave her alone. We must devise a living arrangement for ourselves on this planet that inflicts little to no harm on the natural environment. And that means that almost everything we are doing now must be totally re-designed. "It means nothing short of a complete overhaul of the world's energy systems, transportation, infrastructure, industry and agriculture." Indeed, some of the world's best thinkers are finally talking about the need to overhaul our global economy that currently depends on perpetual growth in a world of finite resources. They're finally beginning to see parts of the bigger picture, of which I have been speaking. There is zero talk about the urgency of curbing our exploding population as we're still adding almost a net million people every four days. That second one is the long-overdue discussion that I am trying to promote. Where are the futuristic thinkers and "architects" who must catch the vision and convert all of this vision into a set of blueprints along with a realistic budget and action plan that could lead to an urgent implementation schedule? And how many of those "experts" are even aware that actually living in harmony with nature is not even remotely possible without abolishing our grossly unsustainable habit of eating animals? The Bottom Line. The world's leaders are not getting it done. They're not even talking about getting it done. They're not even talking about the issues that must be addressed in order to have an outside chance of "getting it done." So the world's children are speaking out, but the world's leaders and the vast majority of adults are pretty much sitting on their hands - and remaining silent about the most important issue in the history of humanity. Maybe if more "big picture" journalists like David Wallace-Wells, Dahr Jamail and others would simply refuse to write about ANY OTHER topic until urgent action is being taken to reinvent our entire living arrangement on this planet - we could still get it done. Uncoordinated, piecemeal improvements will not be nearly enough, fast enough. We've got to study the "big picture" in order to come up with a comprehensive plan that can work. Want to help? Here are a few more GRATOLA related blogs that you can share with your most powerful friends, leaders and journalists. This just in. Today, on my daily check of NSIDC data, I found that yesterday's Arctic Sea ice extent is now roughly 800,000 square kilometers lower than on the same date in 2012 (green dotted line below) - the year when the record was set in September for the lowest sea ice extent ever. With thinner ice and warmer temperatures this year, it would not be surprising to see that 2012 record broken and possibly lead to the first ice-free Arctic Ocean in millions of years. 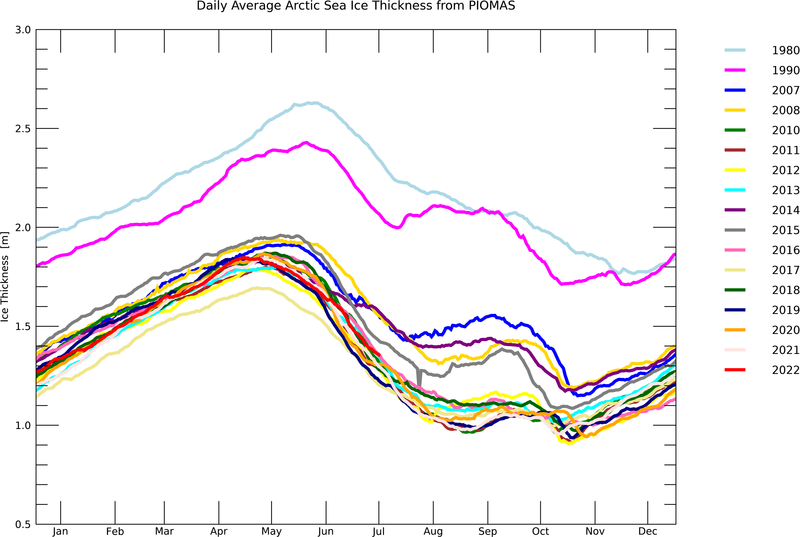 I will keep watching this closely until mid-September, when the Arctic Sea ice extent reaches its lowest each year. Take a look for yourself in this screenshot from the NSIDC website that I captured this morning. This interactive chart can be viewed at nsidc.org, where they update it every day. Upcoming events. My next two talks will be on April 3 and 4 in Buffalo and Scranton, PA. The April 4 Scranton event is co-sponsored by The Greenhouse Project and the Environmental Studies concentration at the university. Click here for Scranton details and email me for more info regarding the Buffalo event on April 3.